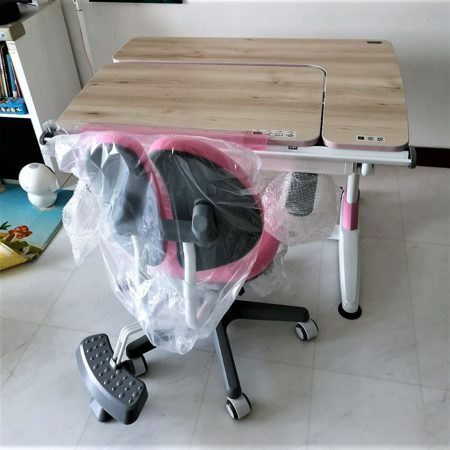 Kid2Youth is the leading kids ergonomic brand in Taiwan by TCT Nanotec CO LTD, a furniture manufacturer that was set up more than 40 years ago and was the first major furniture chain store in Taiwan. 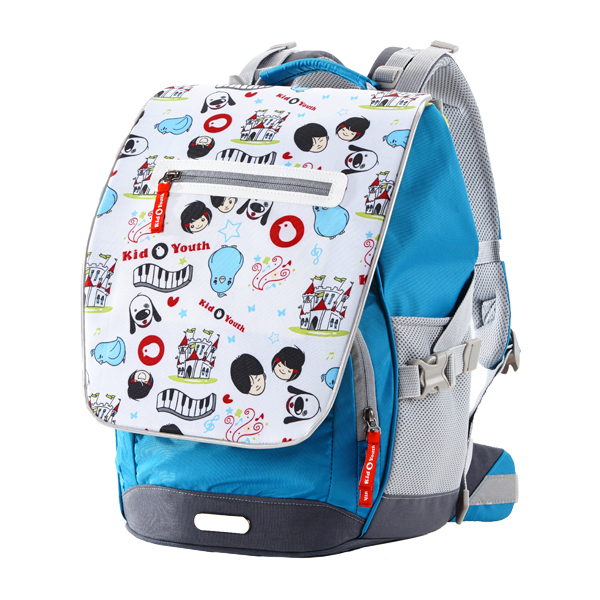 Kid2Youth was established in 2003 and it currently has brand stores in countries all over Asia, Europe and the USA. 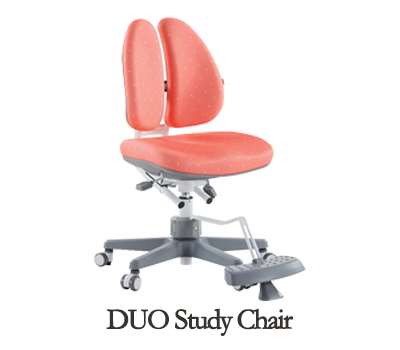 TakeAseat.sg is the sole distributor of Kid2Youth in Singapore. 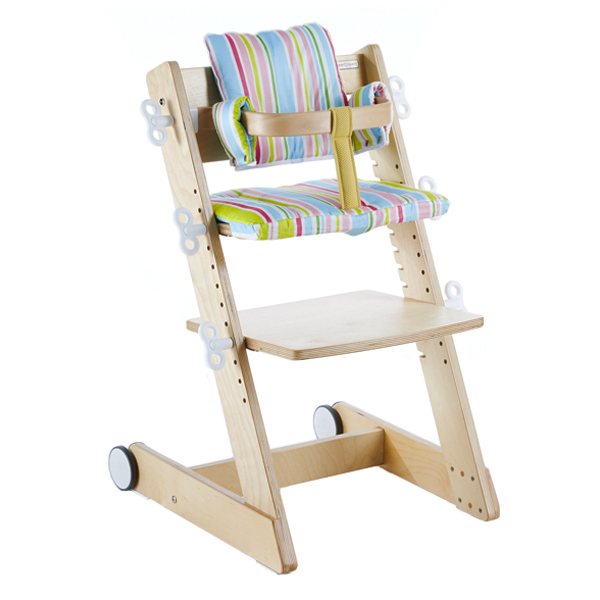 The design concepts of Kid2Youth's products are focused on health, safety and being environmentally friendly. 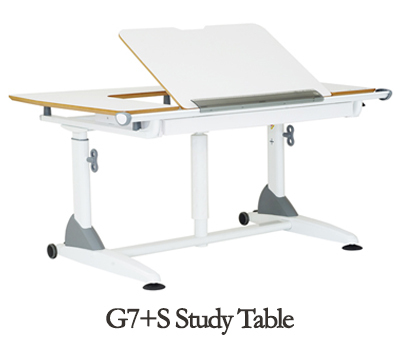 Through research and development, TCT produces a series of kids ergonomic study tables and chairs that provide a safe and stimulating learning environment for children. 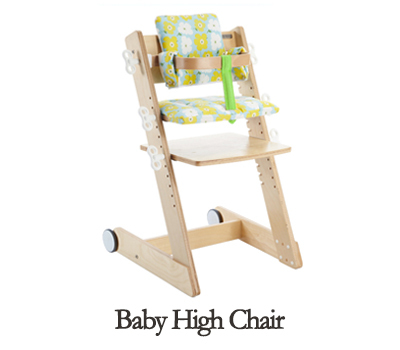 Kid2Youth carries certifications that highlight their products are safe to use and made with eco-friendly and quality materials, such as EU PEFC certified wood and Germany's STABILUS gas lift system. 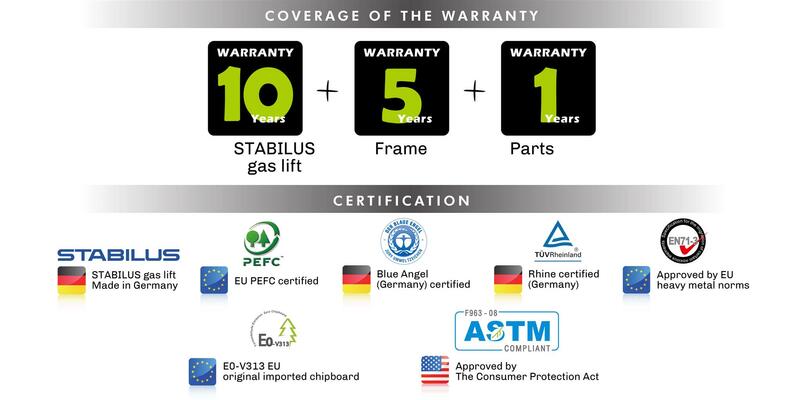 Kid2Youth and TakeAseat also provide a 10 years warranty for the STABILUS gas lift system, 5 years warranty for the frame and 1 year warranty for the parts. Kid2Youth has received awards and cerficates of endorsement from different associations over the years for it's products. Amongst the certificates includes one endorsement from Singapore Physiotherapy Association from the year 2008 to 2011. 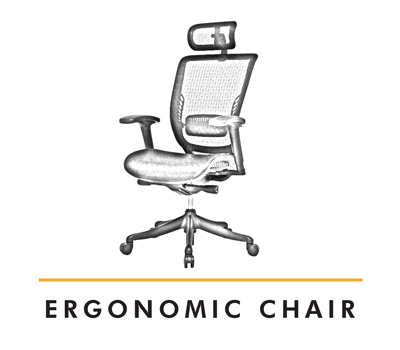 WHY IS KIDS ERGONOMIC IMPORTANT? 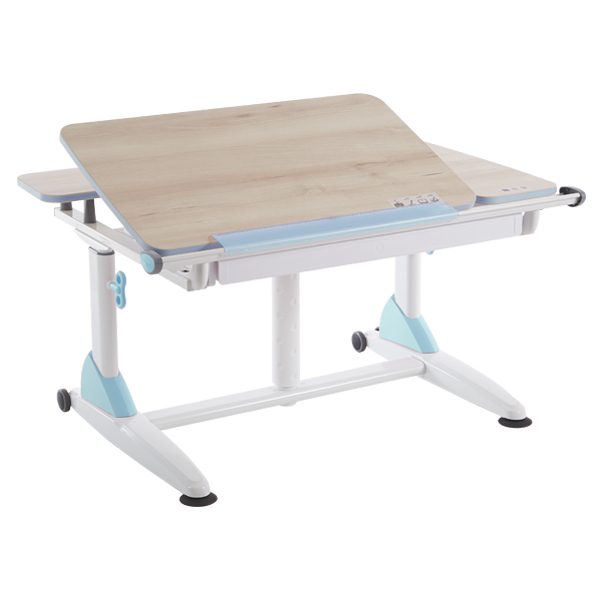 Ergonomic is especially important for a child because practicing good ergonomic prevents them from developing any health issues associated with bad posture as they grow older. 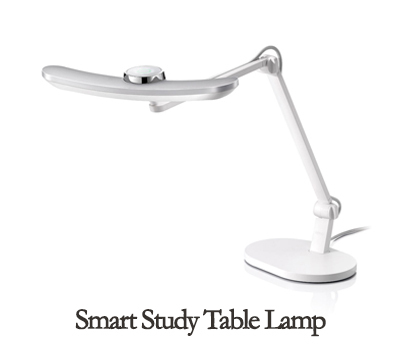 Incorrect posture can cause all sorts of pains to their back, neck and arms, even so if they spend long hours sitting at a desk studying. 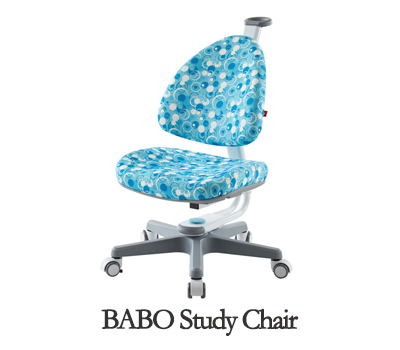 If symptoms of bad posture are corrected, it can develop into more serious health problems in the future. That is why is it crucial to prevent these issues from an early age. 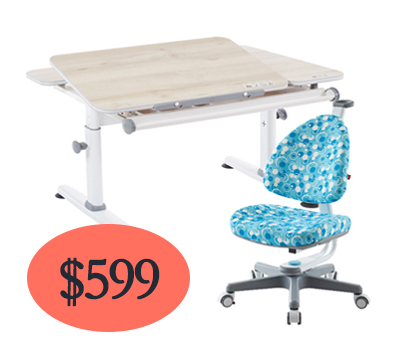 Using a kids ergonomic study table and chair will help prevent your child from developing a bad posture and various aches related to incorrect sitting posture. 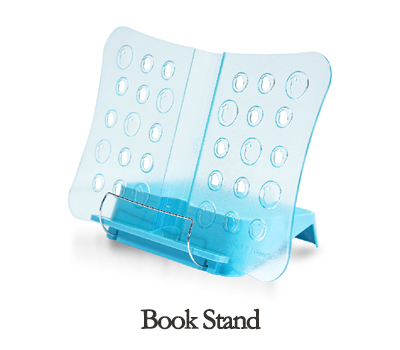 It can also provide a better learning environment for your child and this will subsequently lead to a more effective learning process. 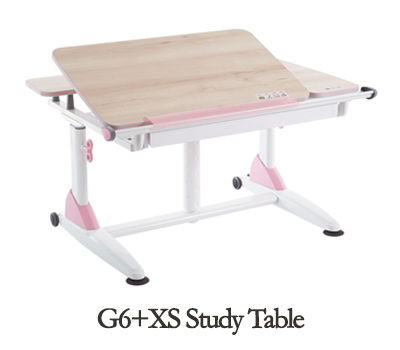 A range of kids ergonomic study tables and chairs that can be adjusted to suit each individual child with different height. 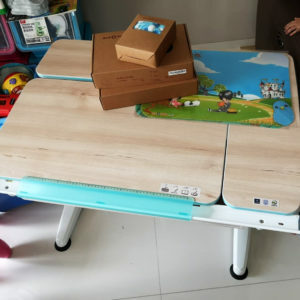 The tables are made from EU imported EO-V313 board and Germany's STABILUS gas lift system with plastic parts from Taiwan. 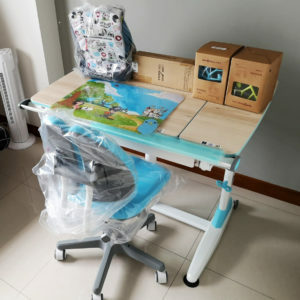 Toddler's furniture such as the baby high chair, which can be adjusted to become an adult chair for the child when he or she grows, and the toddler play table and chair set. 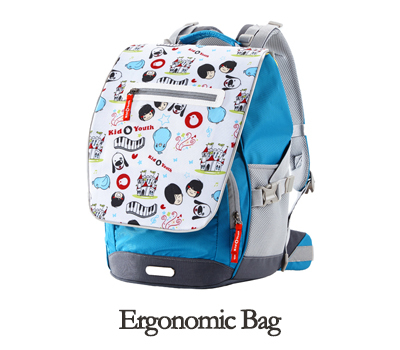 Kids ergonomic school bag with different designs to choose from and other accessories such as the book stand, bookends and stationery holders. 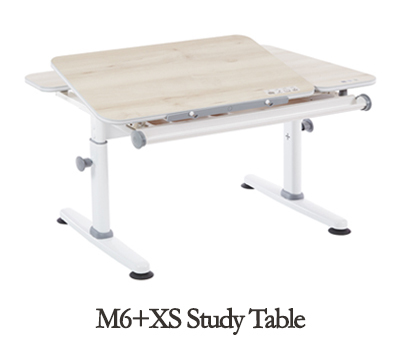 The M6+XS kids ergonomic study table is a manually adjusted study table. 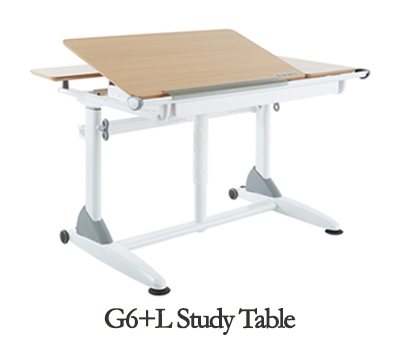 The table has an L-shaped fixed table top with the other section being adjustable. 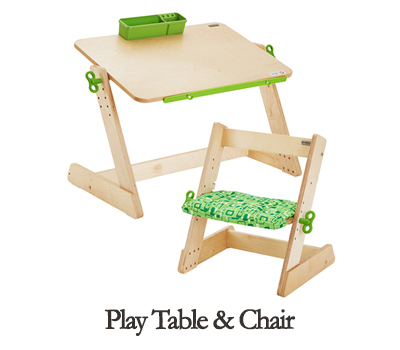 It also has a large drawer underneath and is suitable for child age 3 and above. 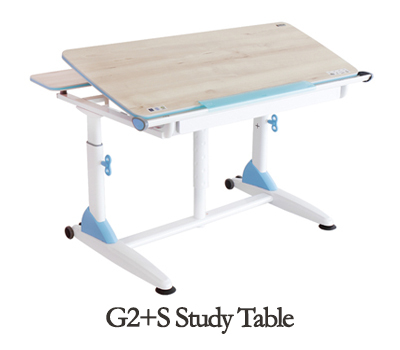 The G2+S kids ergonomic study table is a gas lift workstation study table. 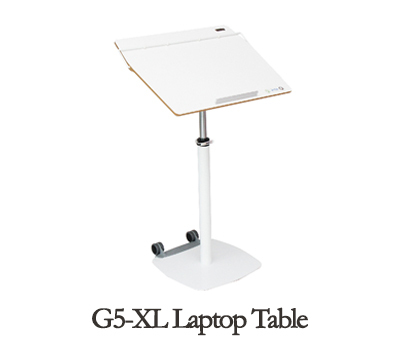 The table has a 2-sections table top, the main section being tiltable with the other fixed. 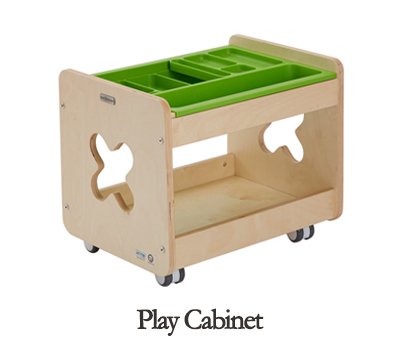 It also has a large drawer underneath and is suitable for child age 3 and above. 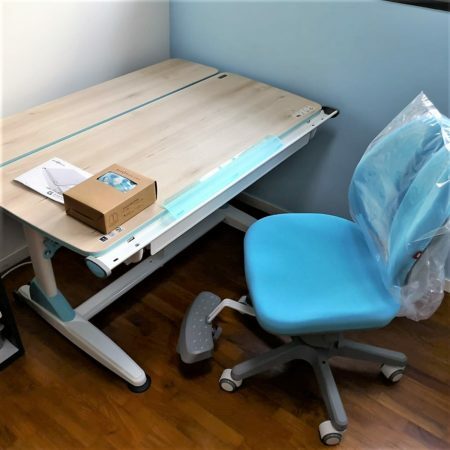 We are one of Singapore's leading ergonomically-friendly office furniture and fitting-out service provider with over 10 years of experience. 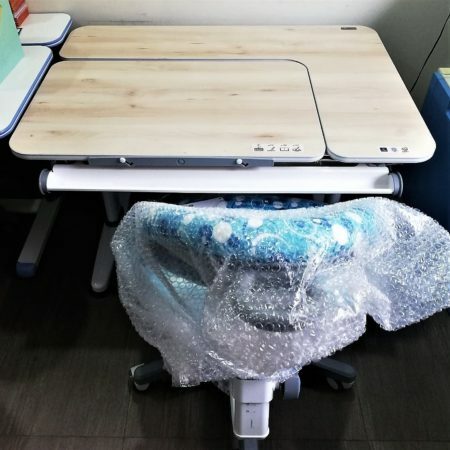 Our firm belief in the uniqueness of each office environment is seen in how we work closely with our clients to create a productive and space efficient work area for them. 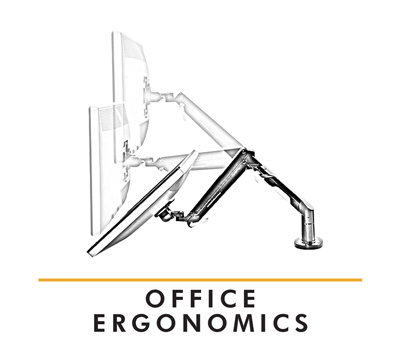 Visit our website for other ergonomic products such as office ergonomic chairs and standing desks. 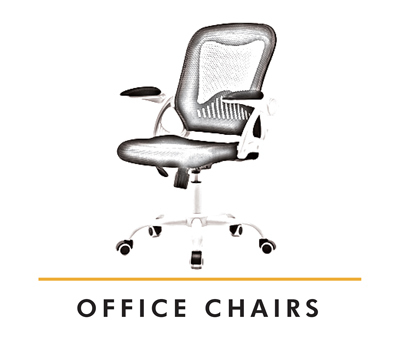 You may use the live chat (available on the bottom right) to chat with us, contact us via telephone at 6362-2480 or drop us an email at sales@takeaseat.sg. Alternatively, you may fill up the contact form below and we will get in touch with you as soon as possible. 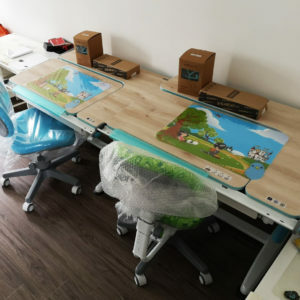 Copyright © 2019 Kid2Youth Singapore. Theme: Himalayas by ThemeGrill. Powered by WordPress.